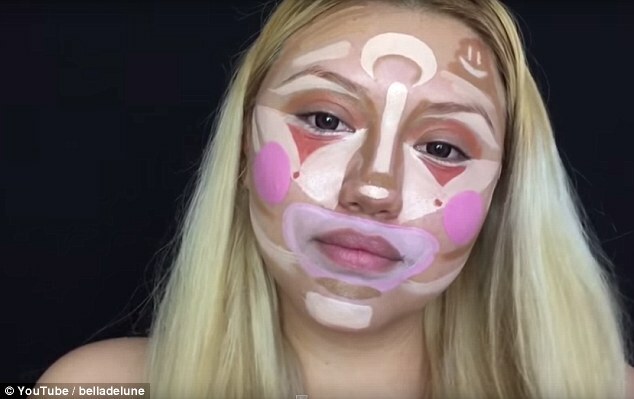 Novelty in terms of makeup, “clown contouring” technique (contour clown in literal translation), comes with a legion of fans in recent times. 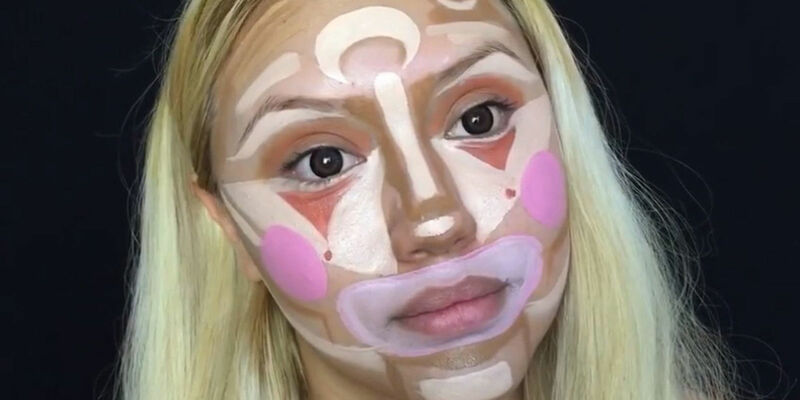 Brought to fame by entrepreneur and American socialite Kim Kardashian, the facial contour technique promises to operate real miracles and give the impression quite realistic face perfectly carved. Recently the vlogueira Esther Elizabeth Loved Romo, better known as Bella De Lune disclosed a video tutorial-style teaching an innovative way of putting the technique in practice. probably the cheerful and carefree manner as Bella taught the technique. 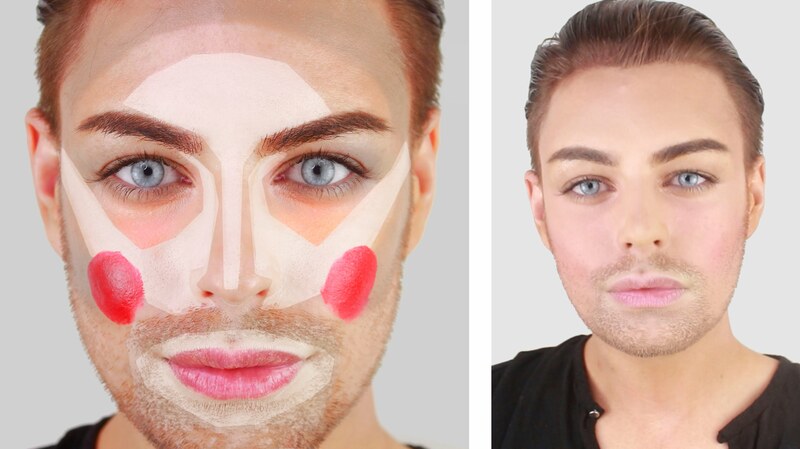 The young man literally designed in your skin, ranging from pink circles on the cheeks and small moon on his forehead, until an emoji in tom Brown on the side of the face. Is so colorful that you might think: “it will never turn into a make!”. Thought and wrong! 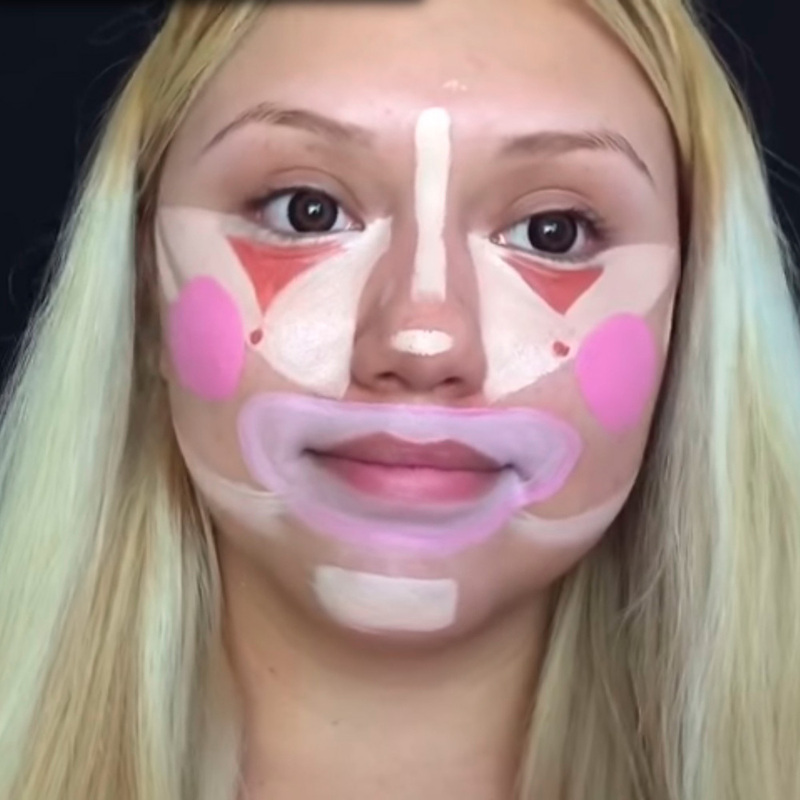 Clown contouring technique has a surprise ending and will surely realize the dream of many girls to have that doll face. 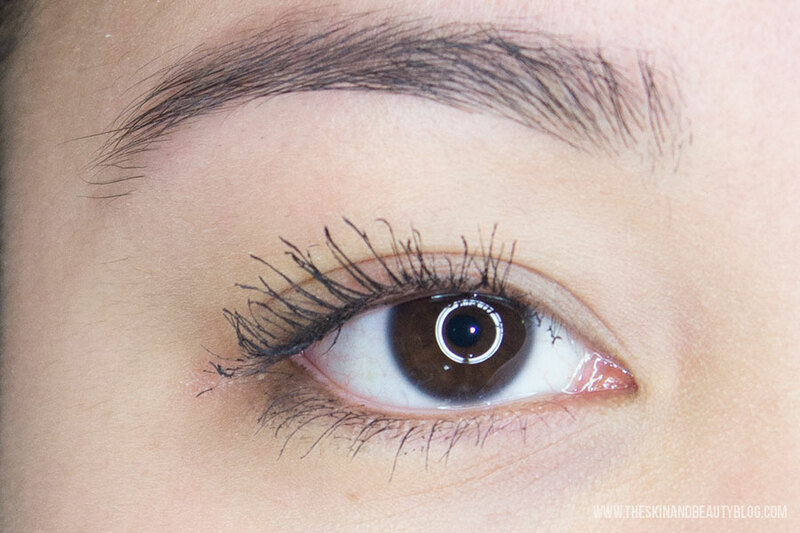 Choose a compact base, it must be two or three tones lighter than the tone of your skin. 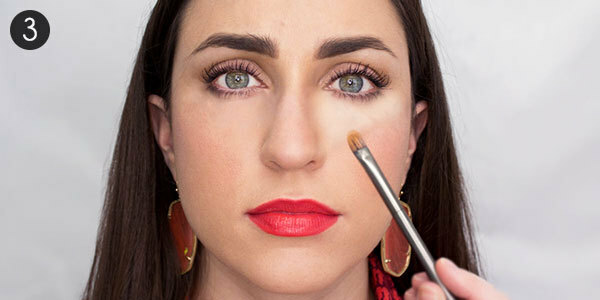 Apply the lighter product to the following points: a line of nose to hair, the line underneath the eyebrow, the middle of the chin, and an inverted triangle starting from the eyes to the cheek. 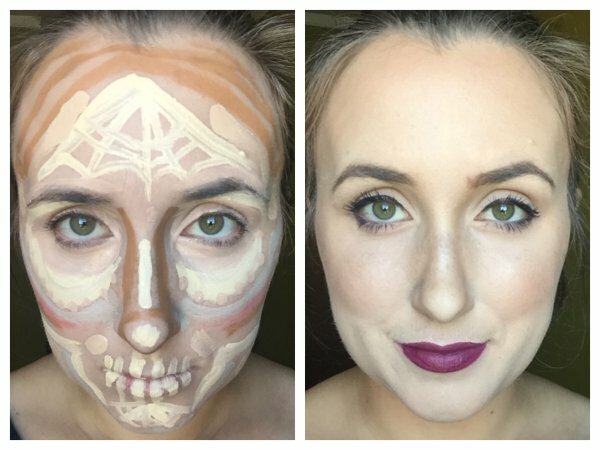 Now choose a compact base in the exact tone of your skin and use it to mark a dash above the cheekbones, one in the center of the fluff and the other in the jaw. Choose a third compact base that has three tones more than your skin. 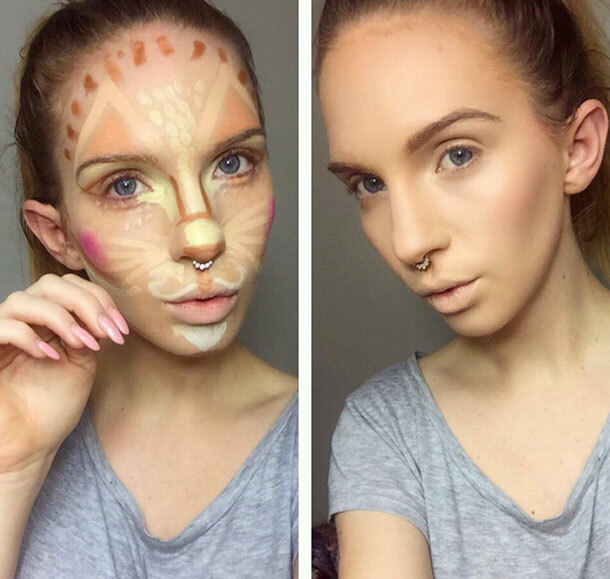 With her make a dash skirting the hairline, two strokes that start at the inner corners of the eyes and descend to the tip of the nose, creating a sort of contour for that central dash in tone of course you did in the second step. 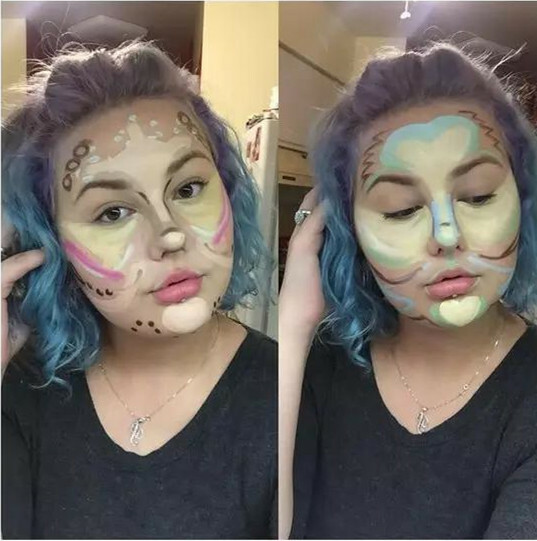 Also make a dash that should start in the corner of the mouth and go to the lateral line of the hair, and one on the wishbone of the jaw, starting from the chin toward the sides. Now that you’ve got the strokes made, it’s time for you to smoke. Use a brush with a bit of thermal water or primer sprayed on the bristles. Make circular movements with the brush advancing through the hair line, jaw and ears, so that the effect does not become artificial. 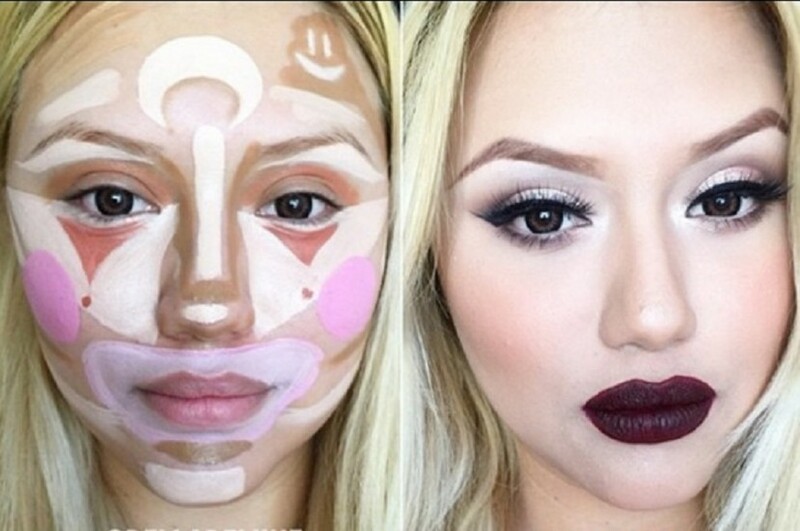 If desired, you can finish the makeup with a little compact powder. Finally make eyes and mouth the way you prefer. 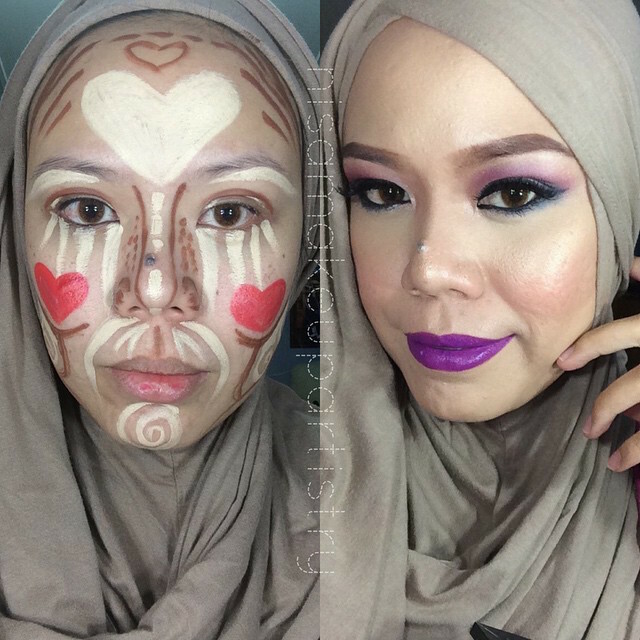 The more you practise the clown contouring, the better the effect and your makes will stay. 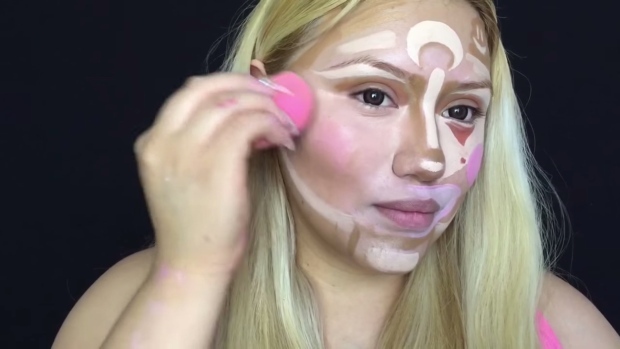 Would you try clown contouring?